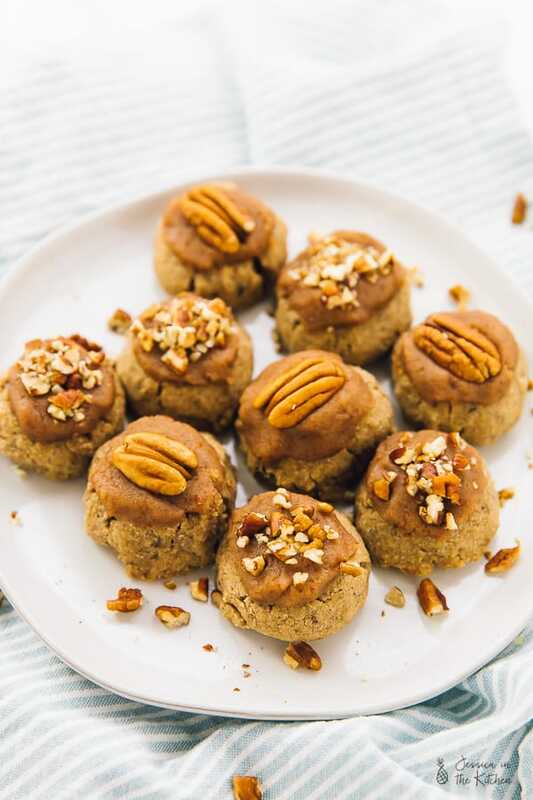 These Maple Pecan Sugar Cookies are loaded with nutty pecan butter flavour! 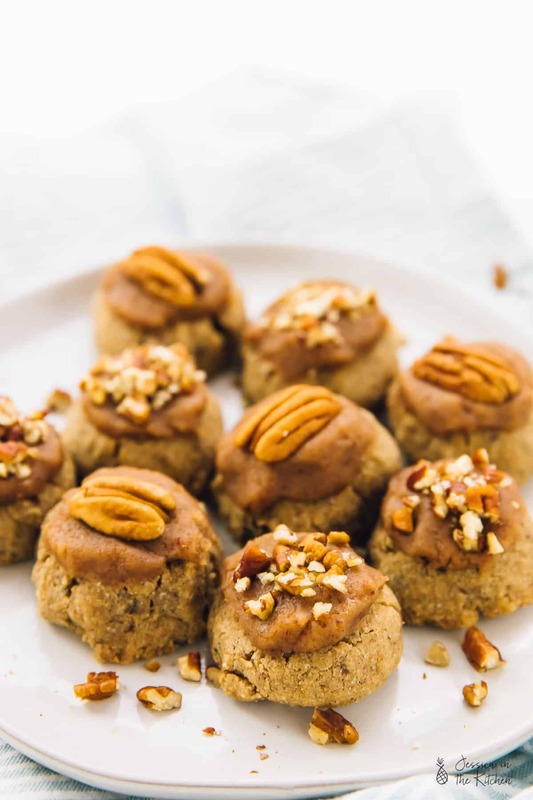 They are topped with a Maple Pecan Frosting, and perfect for your holiday table! This post is sponsored by the American Pecan Council! All opinions and text are 100% mine. 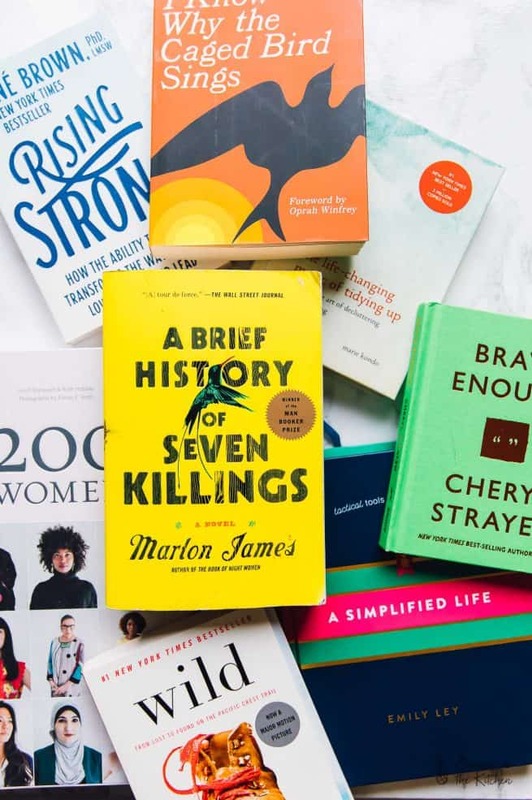 Thank you so much for supporting the brands that support Jessica in the Kitchen! Last year I totally fell I love with sugar cookies. The holidays are always been my favourite time of year – filled with lots of beautiful decorations, love, laughter and so much joy, and I feel like the icing on top (almost literally) was sugar cookies. The fact that they come in so many beautiful shapes and sizes have always mesmerised me, and now I can partake in the fun! I was trying to decide what kind of sugar cookies to make for this year, and after a brief perusing of my posts I knew. Turns out – I really like pecans! So I decided to make Maple Pecan Sugar Cookies! I wanted to amp up the pecan flavour, and boosted the cookies with pecan butter. Let me tell you – BEST decision ever. Each cookie is loaded with delicious pecan flavour, which also contributes to that beautiful crackly look in the cookies. 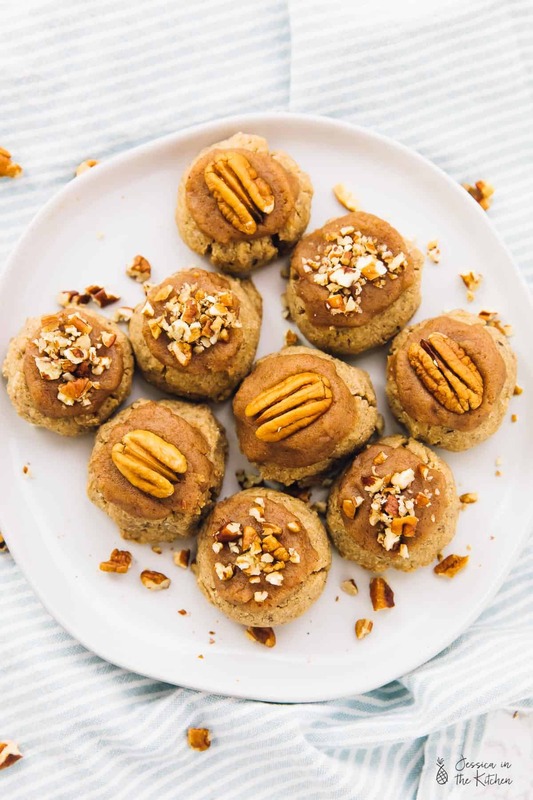 As if the pecan butter cookies aren’t amazing enough, these cookies are then topped with a Maple Pecan Frosting. It really turns the cookies into a kind of festive, fun masterpiece that looks beautifully on all tables. Speaking of delicious pecans, I’m partnering with American Pecans again for this post to share with you about the many benefits of pecans. 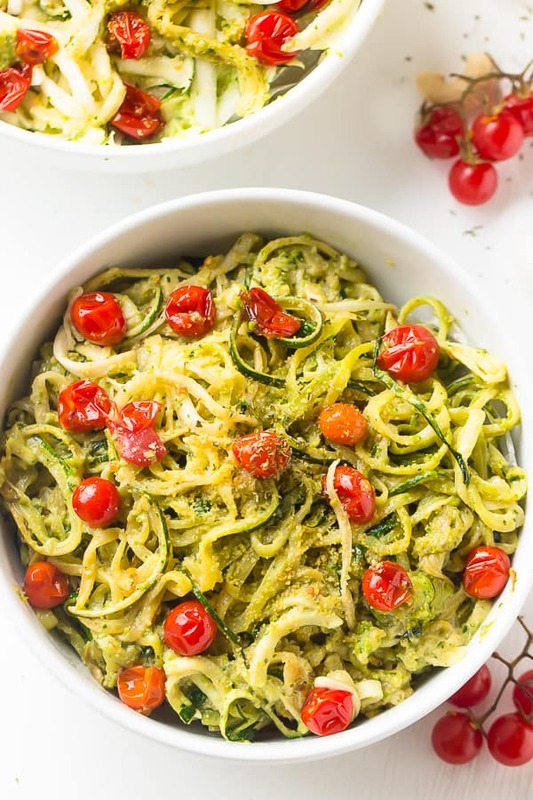 I know – two recipes in a row?! It’s a miracle. The great things about pecans (aka the Original Supernut) is that they’re a pretty nutrition dense nut. 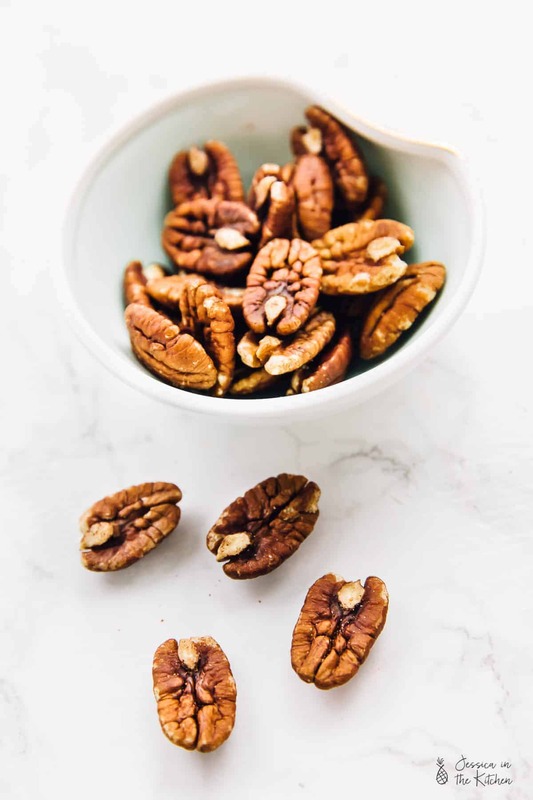 While they are usually considered a dessert nut, pecans are among the highest in “good” monounsaturated fats, and have plant-protein, fiber, flavonoids, and essential minerals. Like I mentioned yesterday, they are the only major tree nut indigenous to America. Another fun fact: While you’re enjoying your yummy pecans you’re actually helping to support those pecan farmers and their family. It was brought to my attention that it’s actually been a tough year for those farmers, which is why I really love the initiative by American Pecans. Like I mentioned yesterday – they’ll be launching the Pecan-a-Thon – an entertaining variety show, to encourage people to #PledgePecans. The pledge is basically promising to add one pecan-friendly recipe other than pecan pie to your holiday table – to spread the love of baking/cooking whilst supporting local pecan growers and their families. Definitely a hashtag I can get right behind. P.S. need an idea to pledge? 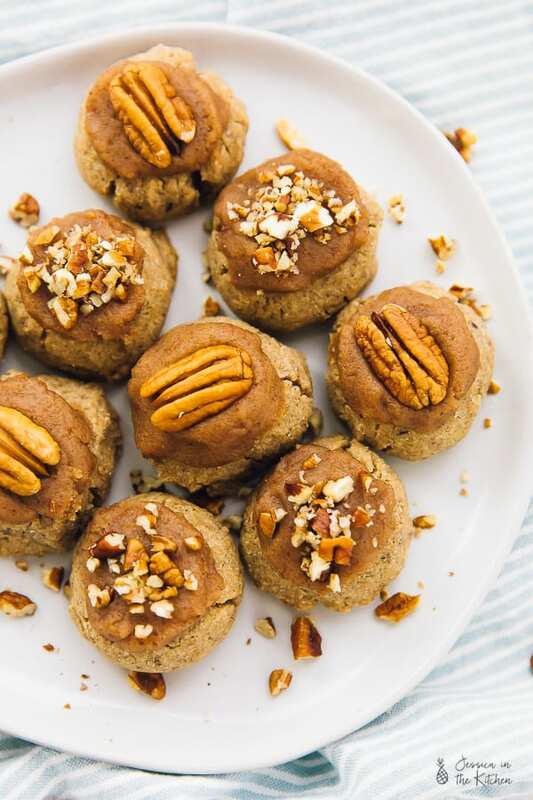 These Maple Pecan Sugar Cookies! The Pecan-a-Thon goes live on November 20th at 10 a.m. EST on AmericanPecan.com/PledgePecans to with a whole lot of holiday dishes so be sure to check it out! I hope you guys enjoy and eat these up! P.S. 2 – remember to visit AmericanPecan.com/PledgePecans and #PledgePecans!! Preheat oven to 350 degrees F. Line a baking sheet with parchment paper or a silicone mat. Add the pecans to the baking sheet and toast for 5 minutes. This helps to give the pecans a fragrant smell and to warm up the oils in the pecans. Add to a food processor with sea salt and cinnamon. 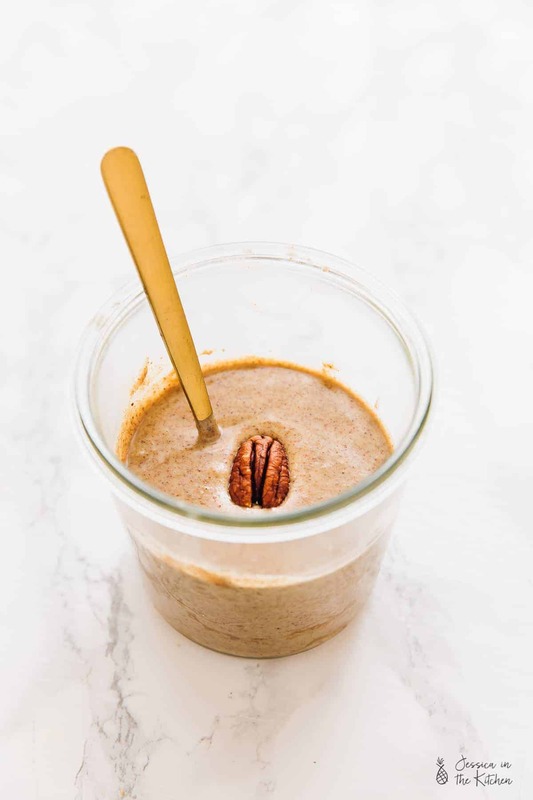 Pulse on low or high until combined into a nut butter, stopping to scrape down the sides down as necessary, for about two to eight minutes, depending on your machine. You can store the rest in your fridge or on the counter. In a small bowl, add the oat flour, xantham gum, baking powder and baking soda, cinnamon and sea salt. Whisk together thoroughly. Set aside. In a large bowl, add the coconut oil, pecan butter and the brown sugar. With a standing mixer or a hand mix, until thoroughly incorporated, about 3 minutes. Add the vanilla extract and the flax egg. Blend until thoroughly incorporated, scraping down sides, for about 3 minutes. Add the dry ingredients to the wet in two batches, and mix with mixer until incorporated. Scrape down the sides to gather all the dough and gently fold in. Form dough into a large ball or two smaller balls and cover with Saran wrap. Place in the fridge for at least 1 hour to set up. Preheat oven to 350 degrees F. Remove Saran Wrap and scoop 1 tablespoon out of the dough for each cookie. Roll slightly between fingers to form a ball. Place out dough ball on a lined cookie sheet, leaving adequate space between each. Bake for 12-15 minutes: 12 for slightly softer, 15 for firmer. Remove and let cool slightly. Serve with Maple Pecan Frosting below and enjoy!! While the cookies are baking, mix together all the ingredients in a small pan over medium low heat to combine. Whisk vigorously for about 5 minutes until thick and incorporated and allow to cool completely in the fridge for about 30 minutes. Spread over cookies, then sprinkle pecan halves and pecan pieces over the top of the cookies. Enjoy!